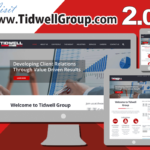 Tidwell Group has issued a follow-up to this article and can be found by clicking this link. “Income averaging (IA)” is the new kid on the Low Income Housing Tax Credit (LIHTC) block. However, while the new IA rules appear simple, they simply are not. The Consolidation Appropriations Act of 2018 ushered IA into the affordable housing (AH) arena with speculative and subjective guidance – for now. There is no question that IA presents affordable housing developers with advantageous opportunities for offsetting rents of higher Area Median Income (AMI) residents with the rents of extremely low-income residents. However, AH constituents need to be made aware that the new IA rules can translate into tax credit recapture and non-compliance penalties for uninformed property owners and managers. The third minimum set-aside election for new Housing Credit developments which owners could choose in lieu of the two previously existing minimum set-aside elections (the 40 at 60 and 20 at 50 standards). 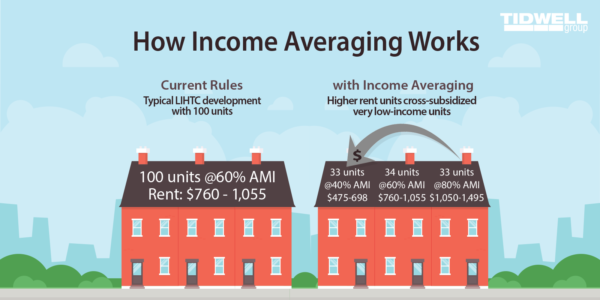 Income averaging allows credit-qualified units to serve households earning as much as 80 percent of Area Median Income (AMI), so long as the average income/rent limit in the property is 60 percent or less of AMI. Owners electing income averaging must commit to having at least 40 percent of the units in the property affordable to eligible households. Developers need to be aware that the IA rules brought about a new and potentially precarious operational cliff. Essentially, an owner may unintentionally disqualify the property from receiving tax credits. Jeremy reinforced that “Once an election for the new Section 10C adjustment is made on Form 8609, care must be taken with respect to the operational aspects of compliance. On the older version of Form 8609, there were just two elections. The two elections consisted of a federal minimum of 20% of the units leased to 50% AMI tenants or 40% of the units leased to 60% AMI. These were the federal income and rent minimums. The state allocating agencies would record a Land Use Restrictive Covenenats Agreement (LURA) on the property that may have additional restrictions exceeding the federal minimums. For example a Form 8609 may have the 40% at 60% AMI election, however, units are actually distributed across 60%, 50%, 40%, 30% (and even 20% AMI in some states). There are scenarios where the property made the 40% at 60% AMI election on the older version of Form 8609 and the LURA had 80% of the units income and rent restricted below 60% AMI. In addition, a tenant in a 30% AMI restricted unit was over-income qualified for that restricted unit. In such scenarios, the taxpayer was still meeting the 40% at 60% AMI federal election on the older Form 8609 but was possibly not in compliance with the state’s more restrictive LURA. Electing the new option under item 10C on Form 8609 which allows for the buildings/property to restrict incomes and rents to a 60% AMI average brings the state’s LURA of additional restrictions in line with Form 8609 and allows for some units to serve tenants above the 60% AMI restriction. However, if the average calculation requires the tenant’s income to be at 30% AMI to achieve the 60% AMI average and such 30% AMI restricted unit is leased to an over-income tenant, then the average could be skewed. Under these circumstances, a percentage “cliff” is breached and the property could be disqualified from receiving the LIHTCs at the federal level. However, Tidwell Group points out that the Form 8609 IA election presents an advantageous opportunity. Even though state agencies may be restricting or not allowing certain projects to make income averaging elections, it is still an option on Form 8609. 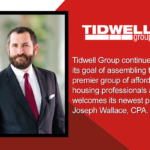 With insufficient direct guidance, Tidwell Group contemplates whether there is a strategic benefit to making the IA election even if the affordable housing property will not be offered as such. While most states are still in flux or undecided about their respective regulatory IA standards, developers currently have the ability to make the IA election for their properties on federal Form 8609. Doing so may be advantageous under certain circumstance (i.e. – properties struggling with vacancy due to economic conditions). This is because although developers may not know what the future holds for their respective states with respect to IA, there may be an opportunity for future protection by making the IA election even prior to (or in the absence of current) state implementation. Jeremy explains, “For example, when a developer is facing economic setbacks or significant economic loss due to factors beyond their control, if an IA election is made, the developer may have more future success approaching a state agency about receiving some flexibility to open up the income band and apply income averaging. By being able to qualify more tenants across the board, the developer mitigates the risk of running afoul of Form 8609 requirements and breaching the percentage cliff.” There is a greater degree of flexibility at the agency level than the federal level – but preemptively making the federal election is key. While, strategically, there may be a benefit from the state agency standpoint of managing, maintaining, and retaining affordable units, there may be an issue related to making the IA election due to Land Use Restrictive Agreement restrictions. While LURAs are regulatory agreements recorded on the land and run with title, there may still be a strategic benefit to making the election for 60% income averaging as LURAs can be amended (while elections made on Forms 8609 cannot). Therefore, making the election preemptively may allow for a greater degree of flexibility further down the road and provide options for both the owner and state agency. In addition to implementation or non-implemention, how is the Form 8609 election used at the state level and what could be some future scenerios that truly would benefit those in need of housing in certain markets where this election could be useful? How should this be addressed in rural markets where housing options for 70% and 80% AMI are difficult to find? What about reducing low-income concentration, revitalizing metropolitian areas, and eventual home ownership? Because state-specific application of IA is in infancy stages at the state level, there has not been enough time to test the waters in order to determine all outcomes of IA implementation. Tidwell Group poses questions about how the state agencies will monitor developer averages. 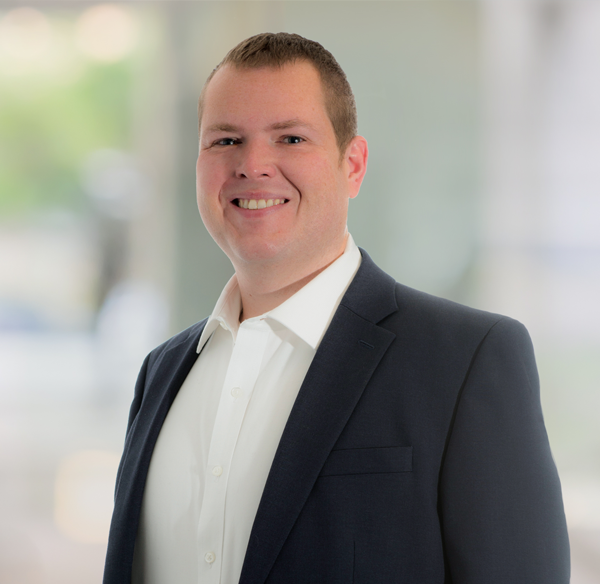 Jeremy advises that there is a possibility that regulatory compliance may be made on a state-by-state and case-by-case basis. 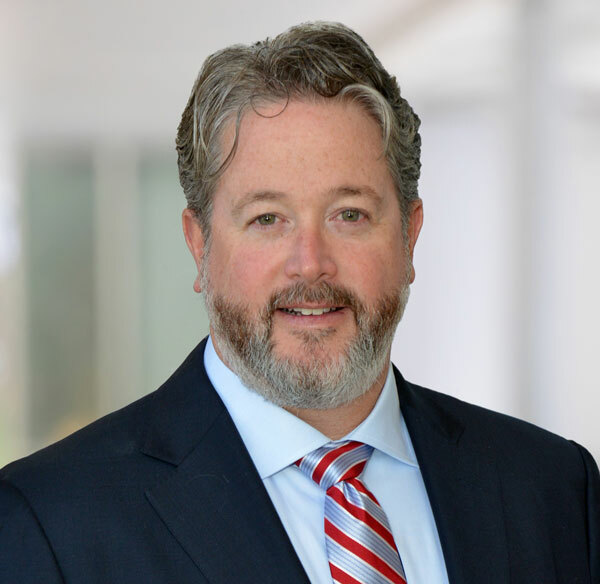 In that case, particularly in the event of Form 8823 violation notices, it will be critical for developers to work with their professional services providers to maintain documentation supporting Internal Revenue Code requirements and safe harbor calculations. Tidwell Group approaches IA and any other affordable housing issue from a holistic perspective. We consider ourselves trusted advisors who consider all aspects of business challenges and opportunities. Outside of our core accounting services, we look to add value to a project beyond the audit and tax engagement. We serve the full life cycle of an affordable housing development – we avoid a tunnel-vision approach. Accordingly, we navigate the issues and determine a strategy using information with the greatest weight. We approach IA using a full life cycle perspective – from cradle to grave. Our consulting teams runs modeling calculations comparing different options on Form 8609 based on state law to determine which option works best for the client. Have questions about Income Averaging?